The Friends contribute nearly 6,000 hours of volunteer service to Huntington Beach State Park per year. Friends work with the park to protect our environment, save our wildlife and preserve our history by participating in a number of projects through the park. 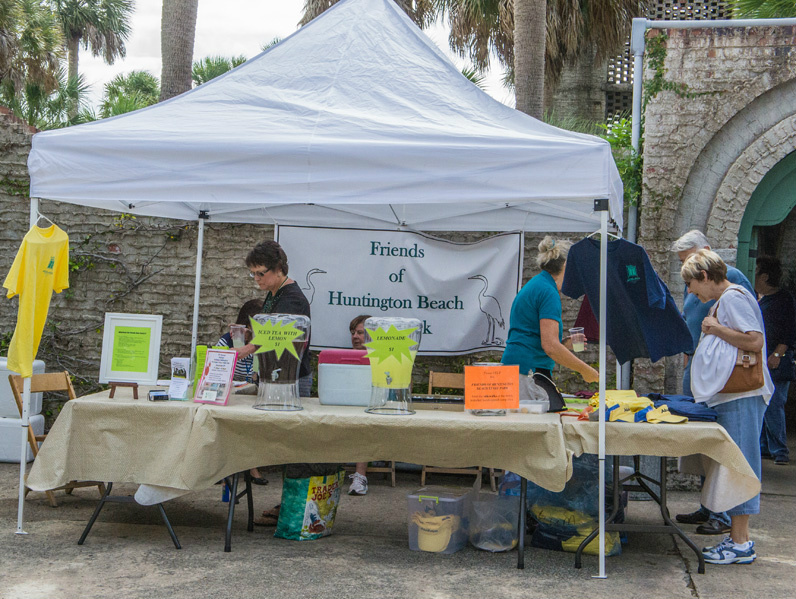 Opportunities include: bird surveys, sea turtle nest patrols and protection, Atalaya preservation and interpretation, staffing the Nature Center and the Atalaya Visitors Center, the Atalaya Arts and Crafts Festival, small maintenance projects, beautification projects and much more. Volunteering is a self-satisfying endeavor and it's easy to do with flexible work hours, a spectacular work environment and camaraderie. FAMILY VOLUNTEER: $30 - Includes all members of family living in your household withbadges to wear when volunteering and a maximum of 2 vehicle decals. INDIVIDUAL VOLUNTEER: $25 - Includes a badge to wear when volunteering and one vehicle decal. We are requesting that all FAMILY and INDIVIDUAL MEMBERS volunteer at the park in some capacity for at least 25 hours per year. 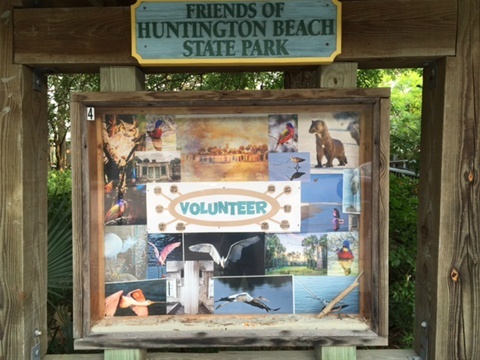 Hours can be recorded on the calendar in the Nature Center, Atalaya host cart or sent to the volunteer chairperson. Persons with a badge will receive a discount at the Murrells Inlet Sherman Williams store. SUPPORTING MEMBERSHIP: $50+ This is for the person or persons who live out of the area who still wish to support us financially, but cannot volunteer, or for anyone local who is unable to volunteer. Those in this category will receive a maximum of 2 vehicle decals, but no volunteer badge. CORPORATE MEMBERSHIP: We ALSO have memberships available for both small and large businesses. Please contact us for details. What have the Friends done lately?? Fundraising for The Nature Center Rebuilding Fund will be our concentration for at least the next two years.